(ARUTZ SHEVA)—A new research study released its findings on Wednesday, exposing how acts of violent anti-Semitism in Europe positively skyrocketed in 2014. The report, conducted by the Kantor Center for the Study of Contemporary European Jewry at Tel Aviv University, was prepared together with the European Jewish Congress (EJC). 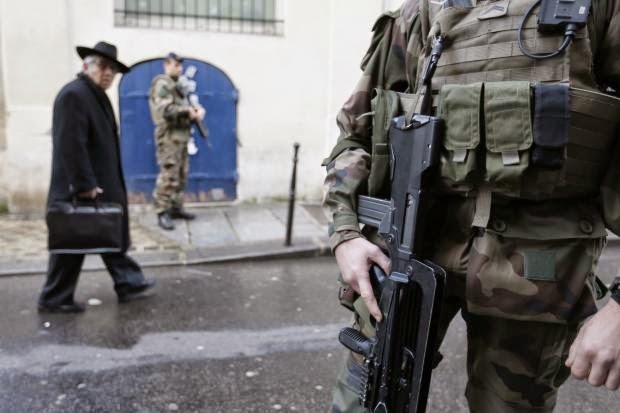 It found a full 766 violent anti-Semitic acts in Europe last year, committed either with or without weapons and via arson, vandalism, or direct threats against Jews or Jewish institutions such as synagogues, schools, community centers and others. The findings constitute a rapid increase of 38% when compared to the results of 2013, in which 554 violent anti-Semitic incidents were reported. EJC President Dr. Moshe Kantor discussed the results, saying "many streets in our European cities have become hunting grounds for Jews, and some Jews are now forced to avoid community institutions and synagogues as a result." Looking at the violent anti-Semitism by country, the report found that France is leading Europe as it has for several years in a row. There were 164 violent incidents in France last year as compared to 141 the year before. The UK did not fall far behind, reaching 141 violent Anti-Semitic events, the same total that France had last year. The year before that, the figure was 95, showing how violent anti-Semitism is growing rapidly in the UK.